WHAT DO YOU MEAN, 'CAN I HEAR THE LORD?' OF COURSE I CAN, WITH THIS SPECIAL ETHERIAL MESSAGE TRANSPONDER ATTACHED TO MY SKULL! ARE YOU BLIND? Well, at least that's the picture I get from where I live Down Under after reading Ryan Lizza's well-researched piece in a recent issue of The New Yorker (admittedly a pretty liberal Big City, blue state magazine) about Republican presidential candidate Michele Bachmann. Such notions would probably be denied by Bachmann and her coterie because of worries about alienating Middle America (at least those parts of it which are likely to vote on the Right next year) but it's pretty clear that this born-again Christian does, indeed, believe that the Scriptures ought to be implemented in a literal sense within the jurisdiction of the United States of America. As Lizza points out, a lot of the literature that Bachmann has, at one point in time or another, endorsed lies well outside the bounds of sanity. A Christian Caliphate? You bet. And we thought that Tony Abbott was a worry here, in Australia. The Opposition Leader is of course a Catholic and has supported policies that work against abortion, in the past, but he's at least not someone who believes that he has a secure phone line to the Almighty. The Tea Party voters that Bachmann is trying to win over are sympathetic to such rhetoric, of course, but by using such terms as "liberty" Bachmann is trying to win over other parts of the Right in US society. Ouch. Bachmann is not the only option, certainly, but on the other side of the ring stands Mitt Romney, a Massachussetts Mormon (if that can be given any sort of credence). 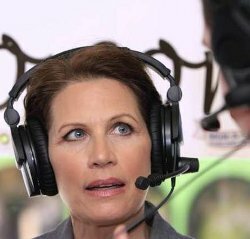 So it looks as though the US is set for an entertaining year of pollie-schtick as the Republican Party moves toward actually making Barack Obama a "one term president" (the cry is Bachmann's signature, popping up at almost every public appearance). Lizza suspects that the electorate will cotton onto Bachmann's true wierdness before the election, however. We can only hope. Here are two images showing air transport in action. 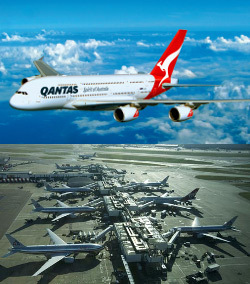 At the top is a Qantas aeroplane, the kangaroo emblem on its tail significative of a solid, safe Australia. As Matt O'Sullivan describes it in his story today in Fairfax papers, Qantas is "linked to the national identity" in a way that many other companies are not. While Qantas no doubt enjoys some market advantage as a result, the link also brings with it the distinct disadvantage that changes to the way Qantas operates are always greeted with a chorus of jeers, as has happened in the past week or so since the airline announced that it would establish a premium carrier in Asia and extend Jetstar's reach in Japan. How will it pull off the move? What about jobs lost in Australia? Asia is already catered to. Will the brand become diluted? Is the sky falling in? Sacrilege! Unfortunately for those in the public sphere who lambast the current Qantas plan, the second image shows the reality in air travel. It's a crowded marketplace and companies who want to compete and survive must adapt to changing circumstances. Asia's middle class is growing year-on-year. Australia is fortunately situated next door to Asia. So why is the Qantas expansion of its brand to the region seen as a threat to national pride, or something even less appetising - as a threat to a national emblem that represents something essential about Australia? Alan Joyce, the airline CEO, frames the argument in dire terms when he compares the weakening situation now faced by Qantas with other airlines. Ansett went broke, he says, and we don't want to go down that route. While naysayers conjure up a range of emotionally-charged reasons why Qantas should stay "truly Australian", men and women like Joyce will be mindful of the weakened condition of such a premium carrier as Japan Airlines, which has not been able to expand its operational base in a way they now propose and which is in deep trouble. In Southeast Asia, Qantas' competitors must be wringing their hands in anxious expectation that their prestigious Australian competitor will take customers away. Everybody knows that Qantas has a gold-plated safety record, and the airline's managers will be packaging their marketing messages to profit from that fact. Exporting Qantas operational systems to Asia could be a way of improving airline safety in the region generally, and the challenge for the company's management will be to ensure that nothing gets in the way of the brand's zero-fatality record enduring for another 90 years. Ultimately, the argy-bargy we're being exsposed to will fade from memory as long as that safety record is unblemished. Australians will be even prouder of the flying kangaroo if they can see it taking customers away from major competitors like Singapore Airways and Cathay Pacific in the markets where these companies now dominate. We anticipate seeing aerial photographs of Qantas planes skimming over the towers of modern Shanghai when, one day, Qantas finally cracks the big one: China's massive market. Coal seam gas (CSG) has helped produce a mass of words in Australia, as well as handsome profits for well developers. Since these companies started to target agricultural land the debate has become progressively more heated, reaching - it's fair to say - epic proportions in social media, let alone the traditional media. Farmers are outraged, and rightly so. In Australia they hardly benefit from hosting wells on their properties. In the United States it's quite a different proposition, as we can learn from reading the New Yorker's (itself epic) feature story, 'Kuwait on the Prairie'. There, it's oil they're extracting. But the technologies used to get the stuff out of the rock formation in which it sleeps are similar in nature to those used in Australia to extract gas. The big difference between the situation that has developed in the two countries is that, in North Dakota, farmers are getting seriously rich. One woman interviewed for the story said that leasing development rights to her land netted her "several hundred thousand dollars a year". Another woman said that it was "free money" for farmers. 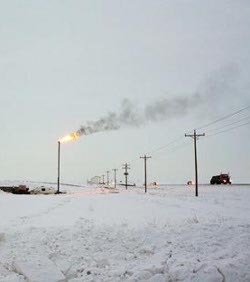 And farmers and speculators in North Dakota are turning their exploration rights into new houses, new cars, and new farm equipment. The returns available for farmers in Australia do not match these. Why is it that Australian farmers are made to get by on a return of a couple of hundred dollars per well per year? It must be to do with land laws. In Australia, it seems, the farmer owns the surface of the land but not what lies beneath it. In the US, the freehold goes all the way down. That's a sobering reality, and it's almost certain that a lot of the arguments about food security and sovereign risk that are being put forward in the public sphere by farmers' groups would disappear if the financial returns available from leasing access rights to wealthy gas companies were higher. Within four days rioting had spread from London to Leeds, Liverpool, Bristol, Birmingham and Manchester. The spark was police shooting a young black man in Tottenham, where the disturbance started. But it's not about that death any more. "They just want to be heard," said a young black woman quoted in a Guardian story that assigned blame to society at large. "This is the only way some people have to communicate." 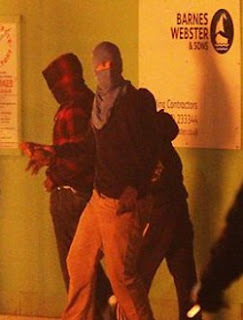 Another story, by Laurie Penny and published in the Sydney Morning Herald, repeated the message, saying that people don't know why the riots happen "because they were not watching these communities". In one NBC report, a young man in Tottenham was asked if rioting really achieved anything. But what are they communicating? The story by Laurie Penny appeared with an image of something burning in the street, but soon afterward the image changed to a shot showing youths in hoodies carrying boxes of electronic goods through the streets. There are few voices of these youths recorded by the media. There are no political slogans, no overt references to the death of Mark Duggan, which was the spark that lit the conflagration. But on one occasion youths breaking into an O2 mobile phone shop were heard shouting "O2, O2, O2". The kids carry no signs, but they're organised. They do not ask for better access to education, they take goods that have value to them. Their voices are rarely heard, but they communicate constantly on handheld devices. If they do not respect either their parents or the police it is because that's what they've learned. If they zoom in on respected brand names in their looting it is because that's where their attention is normally focused. As Laurie Penny's story notes, "the politics are there" but these are the politics of the market, not of the public sphere as it is normally recognised by the media, politicians, trade unionists, and other institutional players in society. And it's no wonder that in the society of these youths the market has triumphed over politics, because the market has triumphed over politics everywhere globalisation touches. Which means everywhere on earth. During major transitions, illegal businesses, which have at their disposal large service networks, can supplant national economies, while the policies of powerful governments can serve to empower organised crime. Against this scenario, we cannot avoid posing the question: has politics died? In Britain today the disparity of wealth that exists between unemployed youth and the richest citizens is greater than it has ever been. And the way these riches have been earned has depended on the globalised market, which erodes the power of domestic politics because it operates outside local jurisdictions. You can shift money around, place it in convenient locales, and buy a house in Chelsea with the proceeds. You can make a fortune in Russia and buy a British football team. You can do anything that you want and still enjoy living in a peaceful place like central London. And people do. When he was expelled from politics in Thailand Thaksin Shinawatra retreated to his London house, where he could enjoy the proceeds of his questionable business practices in relative peace. There are hundreds of similar stories that never make it into the newspapers in Australia. But the kids on the streets in Tottenham know about these men and women because they see them every time they take the Tube into the city. They read about them in the newspapers. But now they're reading about themselves. It's their time in the public gaze, the time of the children who are the product of decades of neo-liberal reform: privatisation, cuts to social welfare, the rise of a super-rich class of citizen. Under Labour and Conservative governments alike the result has been the same. The market has triumphed at the expense of all other institutions. That is what these kids are telling us: "This is what you told us to do. See? We are as good as you." China's second rebuke to the US in almost as many days provides a stinging challenge to America's national pride and it won't be forgotten. What has been forgotten by politicians in the US capitol and in Beijing is that it was a Democrat president, Bill Clinton, who serially favoured granting Most Favored Nation status to China. That took place back in 2000, which led to China's acceptance in the WTO a year later. Access to foreign markets then led to a shift in global trading patterns. At the time Clinton was pushing for China's acceptance by the world it was said jobs would be created in the US. What happened instead was the hollowing-out of the US industrial heartland. Both jobs and manufacturing capacity migrated to China. The resulting surge in employment in China has led to its massive current-account surplus. Clinton's decision to engage more fully with China - putting off improvements in human rights in the Middle Kingdom - gave China the strength to buy US treasury bonds. This, in turn, has led to China's rebukes. But China has always used history liberally. Historical truth is not important, says Loretta Napoleoni in Rogue Economics: Capitalism's New Reality (2008), for Chinese leaders are mainly intent on restoring the greatness of historical China, not forming a consistent image for the use of a politically-aware contemporary electorate. By undermining regionalism and recycling history, the Cultural Revolution ensured the uniform development of society across all of the nation's spaces. But to do this, individualism could not impinge on the collective and homogenized Chinese identity that focused, above all, on the common cause. Maoism became the common ground of the new society. History has become nothing more than a cultural resource, shaped according to the needs of a particular group, and is the social glue of a postmodern tribalism that is defined by the territory of the tribe. In the context of China's controversial love affair with globalization, tribalism keeps the influence of foreign cultures at bay. Napoleoni calls China a "market-state" where "politics is nothing more than an accessory to business and economic opportunism". So China's rebukes to the US must be seen in this rather sinister light. But the audience is not only an external one. The rebukes also constitute a form of internal PR, designed to diminish the stature of the US in the eyes of China's youth, who are becoming increasingly Westernised. In reality, Clinton did the Chinese leadership a massive favour by granting businesses from the mainland access to global markets. But things have changed and it's inconvenient to acknowledge this truth. Instead, China's leadership just rewrites the record and posits as an autonomous economic virtue the prosperity China's people have been allowed to access by the US leadership pre-2001. China's leadership wants nothing more than to acquire additional power in both an economic and moral sense. In order to do that, truth must be sacrificed to the greater common good. No only truth, but rightful gratitude as well. Last time I was down in Sydney I dropped by Gleebooks for a recreative fossick and asked the guy behind the back-store counter for a book about the Tea Party movement which has taken the US by storm over the past two years. A book, Boiling Mad: Inside Tea Party America by New York Times journalist Kate Zernike, was chosen in preference to one by an actual Tea Partier since I wanted something non-partisan and well-informed. I got it. Australian public-sphere watchers may think they know about the Tea Party but historical divergences mean that you really need a primer like Zelnike's book to glom onto the way the Tea Party emerged, and how it has developed as a grassroots activism project in the US. The Tea Party stems from post-GFC disgust with bail-outs. George W Bush was the first president to start coughing up cash to prevent financial institutions from falling over, and his lead has been followed by Barack Obama since. Tea Partiers resent their money being used in this way. Initially it was the undeserving poor - who had borrowed money from rapacious financial institutions at initially-low rates to buy houses they could otherwise not afford - that attracted the ire of those parts of middle America that would probably not have been caught in default when the 2-year interest-free periods on such "toxic" loans ended. These parts of middle America resemble those parts of Australian society who backed Pauline Hanson. Mixed up in the Tea Party mindset is anxiety about indigent citizens and a deep distrust of elites - those parts of society that hold higher degrees in, say, business management and who fill key positions in government. The Tea Party really took off once they got help, in this case from FreedomWorks, a conservative non-profit think tank that is backed by the wealthy Koch brothers. FreedomWorks showed Tea Partiers how to launch campaigns, build support bases, and get involved in the public sphere. They were aided in their rabble-rousing (if you like) by Fox News. 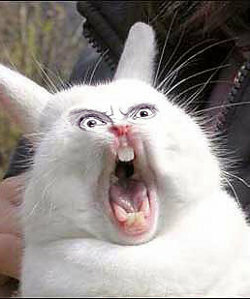 The Tea Party is mainly white, middle class, male and religious. But its ability to latch onto existing narratives within the American story meant that it took off where other aggrieved sections of society had failed. There were things in the American story just waiting to be actualised, and to motivate people sufficiently that they have been able to challenge the status quo and change the direction of the country. In Australia we don't have the same referents available for similar purposes but I propose launching a movement to counter the deadening effects of certain parts of this country's leadership. I call for the establishment of a Manifesto of the Elites and I have chosen as an emblem one of William Blake's illustrations for Mitlon's Paradise Lost: Satan rousing the rebellious angels. I chose the hashtag #PWRTBW because it means "progressives who refuse to be wedged" and it represents a wish that progressives could mobilise in the same way the Tea Party has mobilised, and change the direction the country is taking. There were no comments on my post, or even 'likes'. There was only silence. And perhaps this says something about progressives: they are as hard to mobilise on an acknowledged platform as cats are to herd. My movement remains stillborn. It is possibly doomed to oblivion. 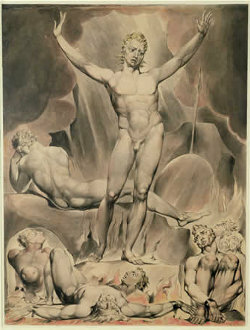 Like Satan in Milton's extraordinary epic poem. Like Blake for most of his life. But perhaps there's a lesson to learn in the way Blake was eventually picked up by the youth of the emerging Victorian era: young, religious and earnest, they idolised the old man in his dotage. If I'm right there will be more written about the case of Mazoltuv Borukhova, the woman sentenced in 2009 for paying for the murder of Daniel Malakov, her husband. 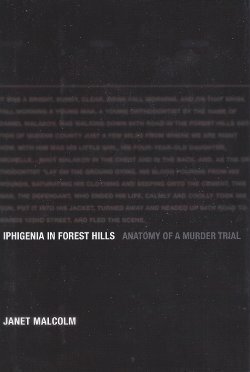 If only because of the "disquiet" The Guardian's Rachel Cooke estimates as one of the rewards available to the careful reader of Janet Malcolm's latest essay Iphigenia in Forest Hills. Like Malcolm's other books - or at least the two others I've read - the book has an evanescent quality like a watercolour painting. But the heavy message contained in her famous The Journalist and the Murderer is absent here. Partly, it's due to the stark fact that the author had no access to any of the principal players. Malcolm observes in the courtroom, chats with the lawyers, approaches members of the family (and eventually gains access to the homes of members of the dead father's family), and fraternises with the other reporters in the courtroom. But she only ever passes by Michelle, the daughter who could likely be deprived forever of the care and company of her incarcerated mother - and whose father had already been buried. This lack of access is not unusual in books of the genre. Australia's own Helen Garner has written books comprised entirely of renditions of interactions with secondary players when the principals were accused of crimes and had to face court - journalists are generally relegated to a low place on the chain when it comes to giving access to suspects. And in Malcolm's case, too, the author enters the drama as an actor. This is entirely suitable where personal, subjective assessments are critical to an appreciation of the hidden reality behind the words spoken by prosecution, judge and defence. Cooke says that Borukhova hired Mikhail Mallayev to shoot Daniel like it's a fact but Malcolm's detailed and dense recount of the facts of the case dare us to claim that we are certain of the truth of the matter. Dense. It's a book with the specific gravity of the heaviest elements on the literary periodic table, replete with names, events, legal facts, claims and counterclaims. It's a tangled skein of flowing aspersions that get thicker and more unpalatable as the book draws to a close and we find ourselves in the homes of people on Daniel's side of the family. Michelle, as Cooke says, is Iphigenia; a character out of one of the oldest books available to us, Iphigenia was murdered and then her death was avenged by the mother on the father who killed her. In Malcolm's book the taint of child abuse hovers sickeningly over the spaces inhabited by the narrative like some ghoul in a film about sorcerors and magic wands, always prompt to fly away whenever someone is asked an unpleasant question. The hatred shared by Daniel's relatives is dismally abhorrent and gives the reader no comfort when it is laid in the balance with Michelle's true best interests: it's clear the girl still loves her mother. Whether Daniel molested her is one of those facts that is liable to reemerege in the appeals court and run shrieking around the courtroom laying curses on all the houses the guilty inhabit. I read this book in a little over one sitting and reckon that it does an incredibly efficient job in a very small space. But then all Malcolm's books are diminutive, unlike her talent. Everyone of my generation knows the TV character Kojak played by Telly Savalas in a police drama that screened regularly during the 70s but they may not know where the character originated and why. This book will help to understand where Kojak came from. 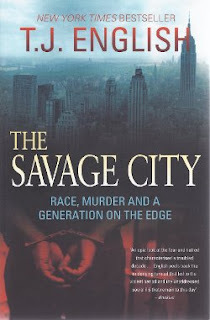 For people growing up in sleepy Australia throughout their teens during the era of civil rights protests T.J. English's The Savage City (2011) provides the backstory to Kojak and other things besides. So, OK, you've seen Quentin Tarantino's Jackie Brown, you used to love James Brown, and you know that New York socialites like Norman Mailer once had a thing about Black Panthers. But you never really understood about Malcolm X or the Nation of Islam and why these people did what they did. In fact you probably don't even know what they did. This book is the answer. It will help you to understand much about the civil rights era and the cultural spinoffs that you grew up with and could immediately relate to though you never read the news stories in the papers that reflected the events that spawned them. The book focuses on the lives of three individuals whose lives represent something essential about the era of US civil rights protest. There's George Whitmore, a young black man from New Jersey who is charged with three crimes that he didn't commit, including the murder of two young, well-off New York women. This was a crime that was dubbed the "Career Girls Murders" and is the case that led to the emergence of Kojak from Hollywood after a screenwriter adapted the book on the subject by a journalist into a screenplay. Abby Mann's The Marcus-Nelson Murders included a character named Kojack who was a good cop and was a "composite character, based on a number of detectives, lawyers, and reporters who were involved in the Wylie-Hoffert murder case", according to Wikipedia. In fact there was no "good cop" in Whitmore's case and for almost a decade he fought against conviction for this murder and for two other crimes. Whitmore's struggles were part of the reason that the Black Panther Party began (although it started in San Francisco, not New York, where Whitmore's travails played out), in a reaction against corrupt police practices. It was also during this period that the well-known Miranda warning emerged in the US. The common practice of police to set up individuals for crimes by manipulating their testimony resulted in an official response: individuals must be informed about their constitutional rights before they are interrogated. It also resulted in the formation of the Black Panthers and a virtual war between black man and white police on the streets of US cities for half a decade. Dhoruba Bin Wahad is the second person whose life is chronicled in the book. A member of the Black Panthers, Dhoruba was born Richard Moore but became a key lieutenant in the BPP. The third person who features in the book is Bill Phillips, a currupt cop who was turned and used by the Knapp Commission set up to investigate corrupt practices in the New York Police Department. All three of these men are alive in the US. All three of them served time in jail. One was completely innocent of the crimes originally laid upon him. One was deeply corrupt but representative of the entire police force. The third, Dhoruba, was a product of a society still struggling to deal with the legacy of slavery. English, the journalist who wrote the book, has undertaken a massive exercise in witnessing, for the modern generation, the forces that shaped the lives of these individuals. It's an pretty extraordinary book and a great find for those, like me, who value good non-fiction. For this reason the book comes highly recommended from me.